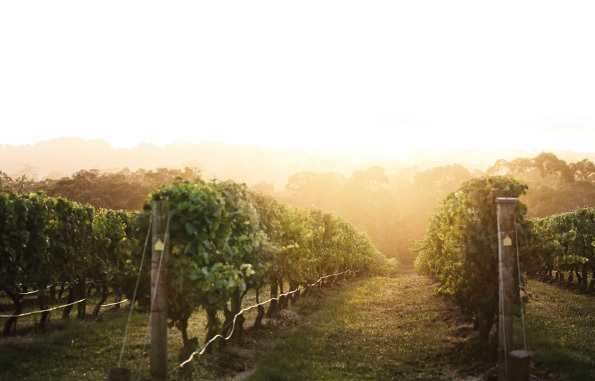 Jackalope hotel’s debut property has set out to create a new standard in luxury accommodation on Victoria’s Mornington Set on one of the region’s most pristine vineyards, this stunning hotel is unique in both destination and design catering for its discerning local and international clientele. 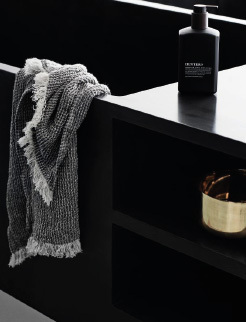 In recognition of the desire to achieve the ultimate luxury appeal the interior design team selected apaiser™ bathware to craft a sublime bathroom solution, including integrated basins and amazingly deep soaking baths, in their unique dark graphite apaisermarble®. The luxury appeal of apaiser’s material and its stunning bath design, coupled with the hand-crafted finish, meant apaiser was uniquely placed to satisfy the vision of the designers and owner alike. The bathing experience is one of contemplation and indulgence in the immersive apaiser baths that dominate the space. Jackalope’s developer, Louis Li. Li commissioned a suite of Melbourne creatives to bring Jackalope to life. The Carr Design Group and multi-disciplinary studio Fabio Ongarato Design came together to craft this daring and brave design. This stunning new hotel creates an immersive interplay between the ideal and the surreal, delivered through an avant-garde approach to art, design, dining and storytelling. apaisermarble® delivers a core component of the goal of the developer to set the bar high for luxury in Australian boutique properties. 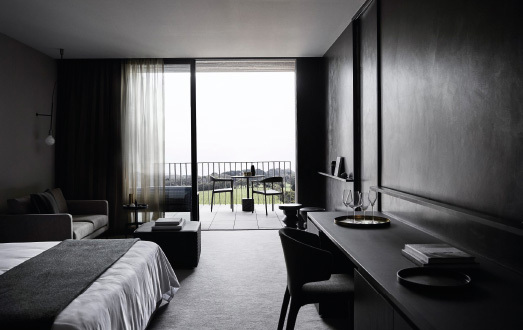 Just one hour from Melbourne and on the doorstep of the Mornington Peninsula, Jackalope hotel is set amid Willow Creek’s 11-hectare vineyard and will highlight the ability of apaiser to create true luxury bathware solutions suitable to any environment. Enjoy the view, wine and food and especially, enjoy the bathing experience!